Never leave a great candidate waiting. In a world gone mobile, your hiring platform has to be mobile optimized if you expect to engage candidates and hiring managers. AutomotoHR is built for the way people really work. 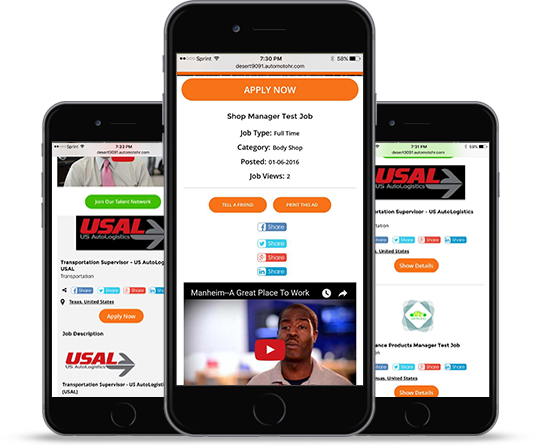 We make it easy for you to manage your entire hiring process on the go from our new mobile optimized HR platform. 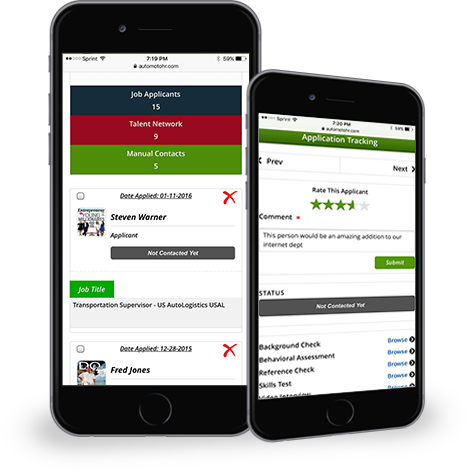 Make referrals, schedule interviews, review and rate candidates, collaborate with your team and view results on the go, from your phone, tablet or any other mobile device. MOBILE CAREERS. MOBILE JOB ADS. MOBILE APPLY. Let candidates search, view and 1-click apply for jobs anywhere, anytime. Less dropoffs. 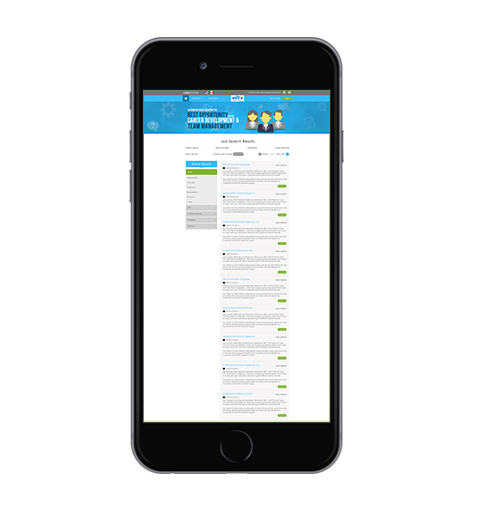 View jobs, make social referrals and give feedback all from your mobile devices. Stay on top of your hiring activity with email alerts and weekly digests.